A 2,626 sq ft unit at The Coast at Sentosa Cove was put up for its first auction by Edmund Tie and Co (ET&- Co) on Jan 21, at an opening price of $4.6 million ($1,752 psf). There were no bids for the four-bedroom unit. This is an owner’s sale, and it will be put up for auction again on Feb 26, according to Joy Tan, head of auction and sales at ET&Co. The Coast at Sentosa Cove is a 99-year leasehold condo in District 4, on Sentosa Island. 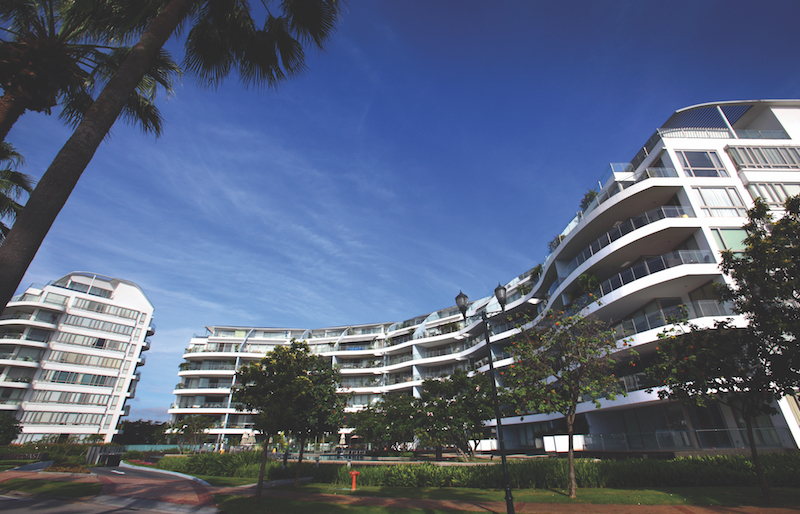 Located on Ocean Drive, the 249-unit development was completed in 2009 by Ho Bee Land. The seventh-floor unit will be sold with vacant possession, but the owners are open to negotiating a leaseback agreement with the potential buyer, notes ET&Co’s Tan. The owners, a Singaporean couple, purchased the unit for $5.12 million ($1,950 psf) in a sub-sale in July 2007, according to a caveat lodged in URA Realis. The unit was originally intended as an investment and was tenanted at first, but in recent years, the couple decided to move back there to “enjoy the tranquil environment that Sentosa Cove has to offer”, says Tan. Unlike other Sentosa Cove condo units, which ET&Co’s Tan says are located “close together”, this particular unit is single loading and thus “offers cross ventilation”, making the unit “bright and windy”. The living room and the master bedroom enjoy unblocked views of the sea and the pool, while the two other bedrooms offer views of the marina. All of the four bedrooms are en-suite, and there are two additional bathrooms – a powder room, and a bathroom in the kitchen. There were seven resale transactions at The Coast at Sentosa Cove last year. Those units ranged from 2,024 sq ft to 3,100 sq ft, as seen from caveats lodged. The last transaction was for a 3,100 sq ft, four-bedroom unit on the ground floor. It changed hands for $5.53 million ($1,784 psf) last December.